After you’ve made the decision to file for bankruptcy, the next step is determining which type of bankruptcy is best for your financial situation. 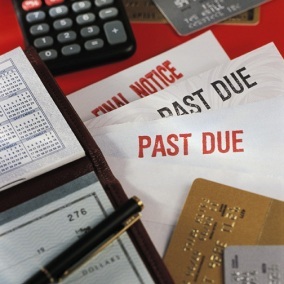 The most common types of bankruptcy filed are Chapter 7 and Chapter 13. Chapter 7 bankruptcy is often referred to as liquidation bankruptcy and involves the discharging of most types of unsecured debt – including medical bills and credit card debt – over the course of three to four months. Liquidation means that some of your property may be taken and sold, or liquidated, to pay parts of the debt. However, property such as clothing, cars, and household items are generally protected under state law. While many consumers and business are eligible to file Chapter 7, some are not. If you bring in enough income to pay back your debt, you’ll most likely be required to file for a Chapter 13 repayment plan. You also can’t file Chapter 7 if you’ve had a previous bankruptcy discharge, or if your Chapter 7 or Chapter 13 case has been dismissed in the past 180 days. Chapter 13 bankruptcy, or the wage earner’s plan, involves paying off your debts as part of a repayment plan. It can last anywhere from three to five years, and concludes with many of your unsecured debts, such as credit card and medical bills, being discharged. Chapter 13 plans are based on income level and do not involve the liquidation of property. The biggest advantage of Chapter 13 is that it saves many homes from foreclosure. It can also allow for the rescheduling of secured debts like mortgages, extending them over the life of the repayment plan and potentially lowering your payments. For more information on your bankruptcy options, call the law offices of George R. Belche for your free initial consultation today! We’re happy to help you navigate the sometimes confusing waters of bankruptcy law, and look forward to helping you get back your financial freedom.